Used for displaying the Collection Properties. It provides multiple selection at once, displaying objects collection in one string, hotkeys to manage selected objects and other features. 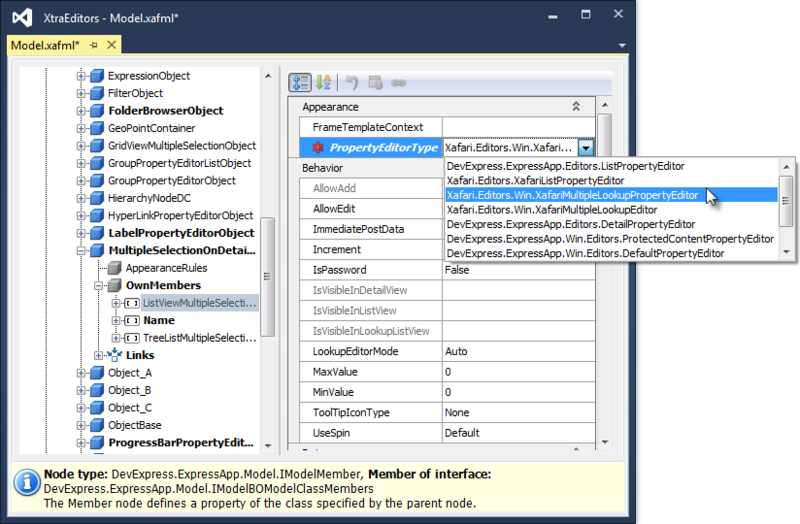 To use Xafari Multiple Lookup Property Editor, invoke Model Editor and focus the corresponding BOModel|Class|OwnMembers|Member node, set PropertyEditorType property to the XafariMultipleLookupPropertyEditor value. To customize Xafari Multiple Lookup Property Editor, focus the corresponding Views|Detail View|Items|Item node. 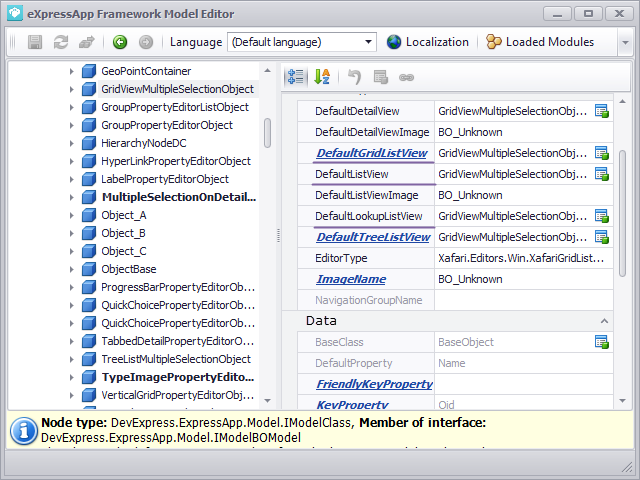 Focused node exposes 3 special properties: PopupView, PreviewView, ModalView. These properties specify List Views for the corresponding buttons, highlighted in the figure below. PopupView property takes default value from the DefaultLookupListView property specified in BO node for the collected objects. 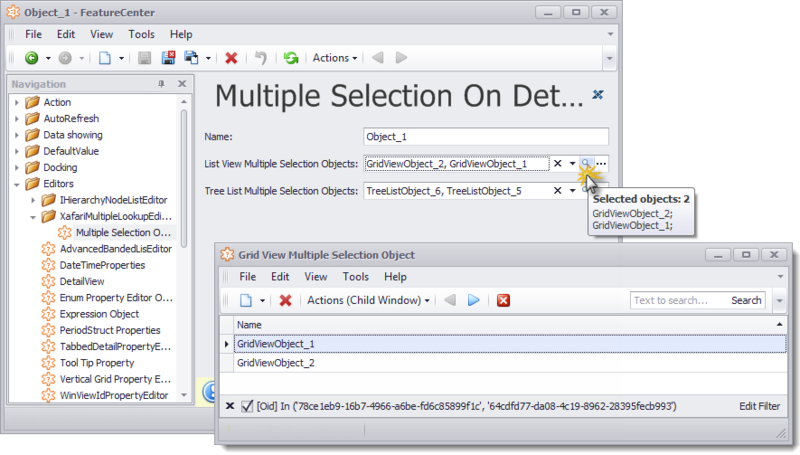 Similarly, PreviewView and ModalView properties take default values from the DefaultGridListView and DefaultListView. To see the result, run the Win application and invoke appropriate Detail View.